And more fellowships!! These at UnionDocs. I'm a fan. Application deadline April 1. Applications are open for some cool opportunities at UnionDocs documentary center in Williamsburg. Deadline for the summer intensive program is April 1st! CoLAB is a 10 month fellowship for multidisciplinary non-fiction focused on artist development and the creation of short projects working in a group. SDI is a 5 week workshop for filmmakers with feature docs in early development that pushes projects towards full production on every axis, practical to creative. I was in the CoLAB several years ago, and can't recommend it enough. I connected with some amazing people and collaborators as a result. It's the place to be to explore the cutting edge in nonfiction storytelling. They usually select groups of people with very diverse backgrounds in art and different types of media, so it's a unique place to explore intersections of radio, film, visual art, and storytelling forms of all types. The Collaborative Studio is a 10-month program for a select group of 12-14 media artists from the US and abroad who come from different backgrounds and different levels of experience (photography, visual arts, radio, human rights, journalism and more traditional forms of documentary). The program offers a platform for exploring contemporary approaches to the documentary and non-fiction arts, and consists of weekly production meetings, seminars, masterclasses and critiques with visiting artists. The main goal is the development of a collection of original short creative documentaries on a shared theme. Another exciting fellowship opportunity – travel to Japan! Deadline April 15. The Japan Center for International Exchange (JCIE) is now accepting applications for its 2016 US-Japan Journalism Fellowship, which will provide four American journalists with the opportunity to visit Japan from June 18, 2016, for a 2~3 week program of group meetings and customized individual interviews and site visits. This competitive program exposes the participants to key leaders, policymakers, and innovators at the center of the policy debates shaping US-Japan relations, Japanese society, and the future of Asia. The program aims to develop a cadre of journalists who have a sophisticated understanding of the complex dynamics of US-Japan relations and, more broadly, the US role in Asia. Please feel free to circulate this information among your networks and encourage interested candidates to apply. You can visit our website for more information on the program, directions on how to apply, and the application form. Those interested in applying are encouraged to contact Ms. Kaede Kawauchi < kkawauchi@jcie.org or (212) 679-4130 > in advance. Exciting opportunity for journalists of color. Spread the word! Deadline April 18. The goal of the Ida B. Wells Fellowship is to promote diversity in journalism by helping to create a pipeline of investigative reporters of color. The one-year fellowship will provide four emerging reporters with the opportunity to complete their first substantial piece of investigative reporting. The Ida B. Wells Fellowship will award each winner a $10,000 stipend plus funds to cover out-of-pocket reporting costs. The fellows will also receive extensive editorial feedback, legal counsel, research resources, assistance with story placement and publicity, training at the annual Investigative Reporters and Editors conference, and journalism mentoring. The Investigative Fund at The Nation Institute incubates and supports important investigative stories with the potential for social impact. By providing reporters with editorial guidance, institutional support, and financial support, The Investigative Fund has produced stories that have sparked federal indictments, lawsuits, Congressional investigations, legislation, and the resignation of public officials. Our investigations have appeared in a wide array of outlets, including NPR and PBS as well as The Nation, Harper’s, The New York Times Magazine, The New York Review of Books, Mother Jones, Newsweek, Cosmo, Slate, and GQ. Our stories have also won some of journalism’s top awards, including the Polk, the National Magazine Award, and the Emmy. The Nation Institute's Investigative Fund has launched an investigative fellowship for journalists of color. The one-year Ida B. Wells Fellowship will go to four journalists and offer $10,000 each, travel and reporting costs and the chance to work with an Investigative Fund editor. Applications are due by April 18. In 2014, BuzzFeed created a fellowship with the Columbia University Graduate School of Journalism for investigative journalists of color. The first recipient, Melissa Segura, is now part of BuzzFeed's investigative team. Poynter has written about that team and about Fusion, which has built a diverse and young investigative team. Latino USA wants your pitches!! Please submit your pitches to www.latinousa.org/submit. Pitch meetings take place every Friday, and they try to get back to reporters early the following week. Good luck! Things that set people on a path, for better or worse. Story examples include the school-to-prison pipeline and the lack of a pipeline in the Catholic Church, where young Latinos who are undocumented can’t become part of the clergy. As the nation inches slowly toward marijuana legalization, this show will look at the ways in which the drug itself, the drug market, and enforcement approaches like harsh sentencing and stop-and-frisk are affecting Latino communities. We also want to explore how legalizing the drug can both help and hurt communities of color. Who really stands to benefit from marijuana legalization, and who stands to lose? And what will happen to the people locked up for crimes that might no longer be crimes in the near future? We’re looking for many stories in the lead-up to the election, including pieces about first-time voters, demographic shifts, and places where voting laws could have a big impact on Latino turnout. We’d also like stories about local races that highlight issues at play in the larger election. We do NOT want stories that are just about the horse race or simply tell us that a non-profit group is trying to get out the vote. We’re looking for pieces that show the human side of the election, with interesting characters that reflect why people vote the way they do and what various campaign positions could mean for ordinary people. We’re especially looking for under-reported stories from the Midwest and the South. First-generation Americans voting for the first time in a household where parents can’t vote; first time someone joins a get out the vote effort and/or joins activism in politics; first Latino candidate running in a local race where elected officials are mostly white. This is also the first time that two Latino candidates are in the running for president yet Cruz and Rubio face criticism about their “Latinidad.” We are looking for stories that address this, especially in their home states of Texas and Florida. We want to explore how/if media coverage – both local and national – differs in Spanish media news outlets in the US like Univision and Telemundo. Latino USA often focuses on immigration to the US from Latin America, but this is just a piece of a larger global phenomenon. We’re looking for stories from all over the world that help explain how and why people are moving from one part of planet Earth to another – with a particular emphasis on how issues like war, climate change and the economy are all factors. Stories about all aspects of finance and making a living: minimum wage battles; banks that cater to Latinos; discrimination and redlining; and access to bank accounts and home loans for Latinos at different income levels. A large part of the immigrant experience is about learning to fit in. We’re looking for stories about assimilation and resisting assimilation, succeeding or failing at fitting in. Also stories about coming to the US, from either a personal or a news-driven angle. Stories about pregnancy and reproductive health. For example: the effect of one’s culture on the experience or treatment of postpartum depression; pregnancy and birthing practices that complement a woman’s cultural practices and beliefs; different ideals and expectations of motherhood based on one’s own culture or upbringing. Stories about people in precarious situations or navigating conflicting pressures; being caught between two forces or two people; giving something up in order to gain something else. When do you keep silent and when do you speak out? What is the cost of each? One example is a story we have in the pipeline about the Chilean band Los Prisioneros, which pushed the limits of censorship during the dictatorship of Augusto Pinochet. Now they’re considered iconic. The experiences of women of color in the workforce, as they face a particular set of barriers that white women have the privilege of avoiding (racism, classism, colorism, not just sexism). Possible angles: ideals of “professionalism” imposed upon women of color, based on white standards of beauty and respectability; bosses who are women of color, including their challenges, their management style and how their subordinates treat them; the impact of workplace discrimination on women of color; and balancing a woman’s need to advocate for herself with the pressure of not wanting to be seen as a rabble-rouser. Stories about people, places, or events reaching the tipping point. Watershed moments that sparked change or created some kind of critical action, perhaps after simmering below the surface for some time. Siblings living far apart, perhaps in separate countries; people who are brothers or sisters in spirit if not in blood. We’re open to all kinds of ideas on this one! Stories about iconic Latino films; profiles of foreign filmmakers; images of Latinos in movies. From soap opera memes to La Llorona (the crying woman), tears play an interesting role in Latino culture. We’ll dive into the cultural history and science of crying and try to answer the question: Do Latinos cry more? We are looking for personal stories about crying and other ideas the topic may spark. From how young boys are doing in school, to how Latino notions of masculinity affect different part of men’s lives – from dating to the workplace to fatherhood. Also, the intersections of sexuality and machismo and challenging old paradigms of masculinity. With the US hosting the Copa América Centenario this summer, we’re focusing on “the beautiful game” and the hold it has on the American continent – let alone the world. We’re looking for stories of rabid fandom, split allegiance, and the ways in which a love of soccer has changed people’s lives for better or worse. Also, soccer’s growing popularity in the US and what contributions our country’s growing Latino community has brought to the sport, and vice versa. Stories about Latinos and car culture. For example: the past and present of low riders, the consequences of being undocumented and ineligible for a driver's license, and life at a car dealership in New York. Bring us cool stories about cars! Stories that show the experiences of Latinos on college campuses. A friend is looking to hire a bunch of radio writers for a new walking tour app… he describes it as an open source Detour. It's mainly a writing gig but he's looking for folks who know how to write for voice. They're starting with 10 cities so check for your city below and pass this along to anyone you know in the other places. Feel free to reach out to david@listenup.audio with any questions. ListenUp Audio, a spoken word producer based in Atlanta, is seeking pitches for original audio walking tours. These will be featured as part of a new, geo-located walking tour platform launching in the US in July (https://izi.travel/en). This is primarily a writing job, as recording and post will be done at the ListenUp studios. Though original audio interviews & actualities can easily be incorporated. We’re looking for people to write interesting, engaging, tourist-friendly walking tours. The tone should be highly conversational and casual (which is why we’re reaching out to the radio community). The goal is to make listeners feel like they’re walking with a friend. For this first round, we’re requesting proposals for “general” tours of the cities listed below. We will eventually be producing numerous types of tours for cities and sites across the United States. Keep in mind: these are not in-depth works of narrative journalism so much as simple, well-written, entertaining experiences. You will be given writer credit on the web site and in the tour itself. Writers will be required to build the tour route in the izi.TRAVEL CMS, which is pretty straightforward. Familiarity with Google maps is very helpful. Approximately 12-20 points of interest, with an introductory story giving a theme and description of the tour. Total word count of around 4000 – 5000 words (no more than 6000). Approximately 250 words/stop. We’ll begin immediately in order to have ten tours produced by the end of March, with another twenty by end of April. The first group of tours will need to be completed by March 21 with a rolling deadline for later tours. Brief description as to why you’re uniquely qualified to write this tour. Send the above to david@listenup.audio with “Tour Proposal” in the subject line. 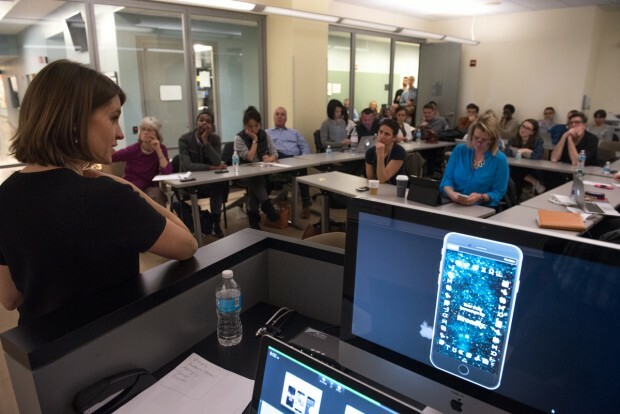 The CUNY Graduate School of Journalism recently announced a new continuing ed program to teach digital skills to working journalists, freelancers, photographers, video journalists, and others. While I'm not involved in this particular program, I do teach at the j-school and can vouch for their excellent staff, resources, and overall community. Info about their workshops in the link and pasted below. Some discounts available. The CUNY Graduate School of Journalism is proud to launch CUNY J+, a series of affordable and convenient workshops to upgrade your toolkit with the digital skills of tomorrow. CUNY J+ is for working journalists, freelancers, photographers, video journalists, and other communicators who want to advance in their careers, change jobs or simply tell engaging, impactful stories in today’s media overload. Check out here whether you are eligible for a discount! CUNY J+ also offers custom training to newsrooms and organizations on site or at the school.Learn about what CUNY J+ can do for your team. This five-week, hands-on module is for anyone interested in learning professional video editing for storytelling. You will learn the principles of non-linear editing, how to use the interface and features of Adobe Premiere and how to plot and edit a sequence. Feb. 24, March 2, 9, 16, 23; 6:30 to 9 p.m. $250 Learn more. Food journalism at its best is more than mouthwatering; it inspires us and brings us closer together. No wonder food is one of the most popular subjects for blogs, articles and books. This one-day workshop teaches food writing and food photography. March 19; 10 a.m. to 5 p.m. $249 Learn more. Video is a powerful engagement tool. Marketing research shows that including visuals with your social media posts increases engagement by 180%. This two-hour evening workshop will go over ways to enhance your social media output with better videos. March 30; 6:30 to 8:30 p.m. $25 Learn more. Throughout this weeklong master class, renown documentary photographer Maggie Steber will encourage you to take visual risks, recognize threads that run through your work and bring it all together in ways you had not thought about before. By application. April 4-8. $1,200 Learn more. Environmental reporting is becoming more and more important and sensors will be at the center of it to help journalists and activists gather data where data doesn’t exist -on global warming, water pollution and more. Join John Keefe, a pioneer in sensor journalism, to play with technology and explore journalistic applications. April 13; 6:30 to 9:30 p.m. $25 Learn more. Over two weekends, this workshop concentrates on video storytelling for the web, focusing on non-narrated stories of compelling characters and short, sharply focused pieces targeted for online viewing. Students will leave the class with well-practiced new skills and a 1-minute edited video around an “object of meaning.” April 23-24, and April 30-May 1; 10 a.m. to 4 p.m. $599 Learn more. This 4-hour, Saturday morning course will help you enhance your work or hobby with better smart phone videos. We will go over some tips, shoot some footage and review it. Videojournalist Bob Sacha has taught this popular class many times, to students and reporters from the worlds largest metro dailies. April 16; 10 a.m. to 2 p.m. $199 Learn more. Bring your laptop and smart phone with you and together, we will install basic encryption for your email, chats and texts. You can never be 100% secure but ProPublica’s Mike Tigas can show you how to take real steps to protect yourself, your colleagues and your sources. May 11; 6:30 to 8:30 p.m. $25 Learn more. Images produced with today’s smart phones now have sufficient quality to be published on all media platforms from digital to print. 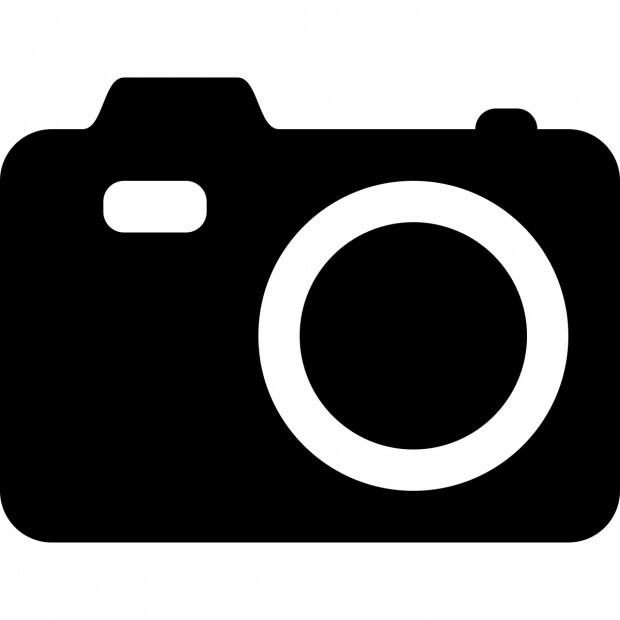 This Saturday morning workshop will help you enhance your work or hobby with better smart phone pictures. May 14; 9 a.m. to 2 p.m. $199 Learn more. This 5-week course will teach you how to gather and analyze data to find stories and to visualize them as interactive narratives. This fast-growing discipline is at the crossroads of storytelling, statistical analysis and interactive design. June 1, 8, 15, 22, 29; 6:30 to 9 p.m. $499 Learn more. Want to learn how to make brilliant audio tours? Attend this 3-day workshop on audio walks and site-specific storytelling. Uniondocs, April 22-24th. Over the course of three days, 10 to 14 participants will learn from a team of seasoned guest speakers and practitioners — radio auteurs & producers, performance artists, writers, entrepreneurs, documentarists. The seminar will explore site-specific storytelling, sound design, audience engagement, instruction-based practice and more. Workshops, discussions, exercises, walks in the city (field trips) and a work-in-progress critique will help put this new knowledge into practice. $385 early bird registration by March 29th. The second day of the intensive focuses on writing and producing participatory projects in a specific site. It will include one field trip. Hey folks. Grab this opportunity to learn from the magic makers at KALW. They're looking for applicants for the next class of the Audio Academy, a 9-month radio journalism training program (Sep 2016-June 2017). Deadline to apply is March 31. Enrollment now open for the KALW Audio Academy!